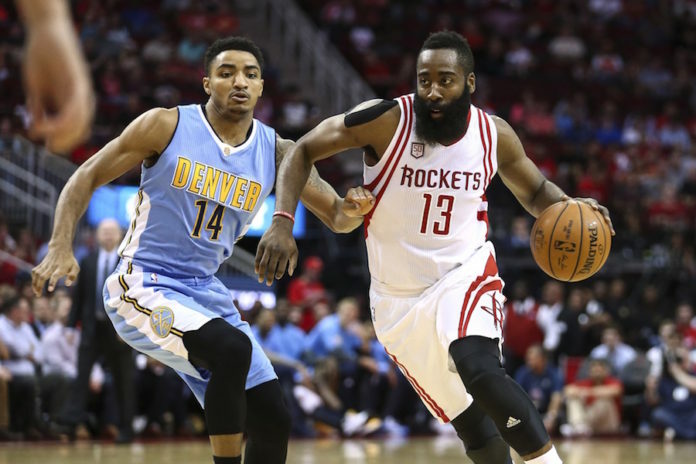 If the Denver Nuggets’ slim playoff hopes were to gain any momentum over the final week of the regular season, they needed a win on Wednesday night against the Houston Rockets. 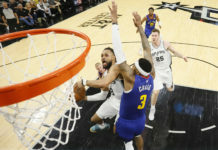 James Harden, who because of the flu missed his first game of the season on Sunday, sent those hopes packing with a 31-point performance that secured the No. 3 seed in the west for the Rockets. With the loss Denver is now a full game, plus tiebreakers, behind the Portland Trail Blazers for the final playoff spot in the Western Conference. The Nuggets now need Portland to effectively lose out in their final four games (all at home) and Denver must go at least 3-1 in their final four games to sneak back in to the final playoff spot. Denver faces the Pelicans and Thunder at home on Friday and Sunday. They close the season with a back-to-back at Dallas and at Oklahoma City next Tuesday and Wednesday. Harden led all scorers with 31 points in the victory. He had been laid up on bed rest for two days prior as he recovered from influenza. 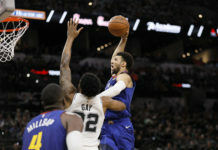 Denver won or tied three of the four quarters on Wednesday, but it was not enough to overcome a nine-point deficit they accrued in the game’s opening quarter. Danilo Gallinari led the Nuggets with 23 points, and Nikola Jokic pulled down 19 rebounds in the loss. Denver sent Houston to the free-throw line 38 times on the night, while only managing to get to the line 18 times themselves. Portland’s final four games are much more favorable than Denver’s if only for the fact they are all being played at home. 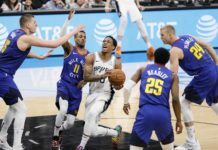 Each club has a pair of games against playoff teams; Denver has two versus Oklahoma City, while Portland gets Utah and San Antonio.